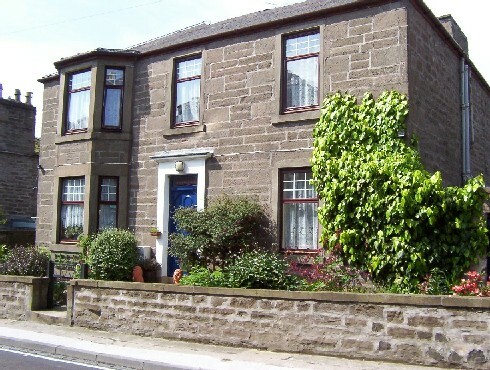 Bed and Breakfasts near Ancrum Outdoor Centre for 1 night from Sat Apr 20, 2019 to Sun Apr 21, 2019 within 25 miles, in an Average Nightly price range of £1 to £200. Parkview is situated in Dundee, 2.9 km from Discovery Point, 2 km from University of Dundee, as well as 1.7 km from Verdant Works. The Bernard King Library and the Abertay University are within 2.8 km and 3.1 km of the apartment, and free WiFi is provided. The apartment is fitted with 2 bedrooms, a flat-screen TV with satellite channels and a fully equipped kitchen that provides guests with a dishwasher, an oven, a washing machine and a microwave. St Paul's Cathedral is 3.4 km from the apartment. The nearest airport is Edinburgh Airport, 94 km from Parkview. The Gatehouse is set in Dundee, 3.5 km from Discovery Point, 2.4 km from University of Dundee, and 2.5 km from Verdant Works. This property is 3.6 km from Bernard King Library. The apartment has 1 bedroom and 1 bathroom with a shower. The apartment also features a well-equipped kitchen with an oven, a microwave and a toaster, as well as a free toiletries. The apartment offers a barbecue. Guests can relax in the garden at the property. St Paul's Cathedral is 3.8 km from The Gatehouse, while Abertay University is 4 km from the property. The nearest airport is Edinburgh Airport, 93 km from the property. Located in the West End of Dundee, the Shaftesbury Lodge Guest House is a 5-minute taxi journey from Dundee city centre. Local restaurants can be reached after 5 minutes' walk and free Wi-Fi is available throughout the public areas. This 19th-century guest accommodation has retained many original features and has high ceilings throughout. A TV with a DVD player and tea and coffee facilities are included in each spacious and individually decorated room. A full Scottish breakfast is served in the breakfast room in the morning. Free public parking is possible nearby and Dundee Airport is just a 5-minute drive away. The Dundee University Botanic Gardens, RRS Discovery and Verdant Works museum are only a 5-minute drive from the property. The V&A Dundee is 3 km away. Due to the age of the building, the Shaftesbury Lodge Guest House does not have a lift. The Shaftesbury is situated in the quiet west-end of Dundee. It is ideally located close to the vibrant city centre Dundee University Ninewells Hospital Dundee airport Dundee Botanic Garden BMI Fernbrae Hospital and the Riverside Technology Park. Only 5 minutes walk to the West Park Conference Centre. West Park Campus is situated in Dundee and is 3 km from the V&A Dundee, and is easily accessible by road and rail. The accommodation is 25 minutes' drive from St Andrews and its world-famous golf course, and Edinburgh is only an hour away. The property has free parking for over 100 cars and offers free unlimited WiFi. There is a range of accommodation available including self-service rooms and self-catering flats. All bedrooms have en-suite shower rooms. The fully-serviced double rooms offer tea and coffee making facilities, a TV, and a weekly housekeeping service. The self-catering flats have communal kitchens and lounge areas. Guests opting for the self-catering flats may share the facilities with up to 10 guests. West Park Conference and Events Centre is centred around an 18th century former mansion house, and a full restaurant and bar service for conferences and events. The accommodation has a tranquil setting, and is within easy reach of the city centre's shops, bars and restaurants. There are also bike racks and self-service laundry facilities available. Lindale Guest House has a warm and friendly atmosphere. Lindale is close to the University Ninewells Hospital and to the centre of the city with its nightlife which includes many historical sights and friendly pubs. A Victorian Villa the rooms are full of character and contain many interesting period features. There is ample parking locally and the Guest House is served by a regular and rapid bus service to and from the city centre which is within easy walking distance. To the west there is easy and convenient access to the ring road that leads to the main Scottish road network technology park and industrial estates. There is good local shopping and the City Centre contains a full range of all the leading high street names. There are a variety of room types available from single double twin family and triple. West Park is an ideal choice for those seeking clean comfortable single or double-bedded accommodation. This 3 Star campus facility boasts an enviable location in the leafy conservation area of Dundee’s west-end with views of the River Tay. All 204 bedrooms are available throughout June July August and come equipped with en suite facilities TV and tea and coffee making facilities. Free car parking for over 100 cars. Only 5mins from Airport or Rail and easy access to main road links. Nestled in Dundee s West End amongst its own tranquil gardens we are easily accessible by road and rail and with Edinburgh only an hour away and 25 minutes drive from St Andrews. The famous home of golf on our doorstep whatever your interests West Park Campus accommodation is the perfect base from which to explore the many wonderful cultural tourist and sporting attractions which are only a stones-throw away. West Park Campus is centred around an 18th century former Mansion House now a conference and events centre offers an on site restaurant serving breakfasts to residents and a full restaurant and bar service to conferences and events. Perfect for residential conferences or leisure breaks. We also offer bicycle storage racks and self service laundry facilities. West Park Campus represents excellent value for money and is an ideal choice for individuals or families seeking clean comfortable no frills accommodation. With no students on site during the summer season this 3-Star Campus Accommodation transforms to offer weekly serviced accommodation - individual en-suite bedrooms with TV and tea/coffee making facilities or self-catering apartments. 6 or 10 bed apartments (all en- suite) can be available with fully equipped kitchen/lounge with TV free parking free high speed WiFi. Breakfast can be purchased at Reception Desk. Single or double rooms available as well as inter-connecting rooms twin rooms and accessible rooms. West Park Summer Campus offers guests the best of both worlds - tranquillity when the day comes to an end yet it is close enough for those wishing to seek out the bars caf�s restaurants and arts and culture scene that this vibrant city has to offer. Set 2.4 km from Discovery Point and 1.4 km from University of Dundee, Seaview Cottage Central Dundee provides accommodation situated in Dundee. This apartment offers a garden. This apartment is equipped with 2 bedrooms, a fully equipped kitchen, a dining area and a satellite flat-screen TV. The apartment also features a seating area and 1 bathroom with a shower. The apartment offers a continental or buffet breakfast. Hiking can be enjoyed nearby. Verdant Works is 1.5 km from Seaview Cottage Central Dundee. Edinburgh Airport is 94 km away. Diamond - Bridge View Apartments in Dundee features accommodation with free WiFi, 2.1 km from Discovery Point and 1.1 km from University of Dundee. This apartment is 1.2 km from Verdant Works and 2.3 km from Bernard King Library. The apartment features 4 bedrooms, a flat-screen TV, an equipped kitchen with an oven and a microwave, a washing machine, and 1 bathroom with a bath. V&A Dundee is 2.5 km from the apartment. Edinburgh Airport is 94 km away. Set in Dundee in the Tayside Region, 2.5 km from Dundee University, Taypark House boasts a terrace and stylish traditional decor. Guests can enjoy the on-site cafe with delicious home baking and local produce. All rooms have a flat-screen TV. Certain rooms include views of the river or the garden, as well as a seating area, and each room is fitted with a private bathroom with a hairdryer and free toiletries. Guests have access to the lounge bar open daily until 22:00. A variety of activities can be practised in the area, including skiing, golfing, cycling and hiking. The Overgate Shopping Centre is 1 km from Taypark House, while Verdant Works is 2 km away. Mills Observatory is a mile from Taypark House. The V&A Dundee is 4 km away. The nearest airport is Edinburgh Airport, 60 km from the property. Situated within 2.6 km of Discovery Point and 2.6 km of University of Dundee in Dundee, The Garden Studio offers accommodation with free WiFi and seating area. All units include a fully equipped kitchenette, allowing guests to prepare their own meals. There is a fully equipped private bathroom with shower and a hair dryer. Guests can relax in the garden at the property. Popular points of interest near the camping include Abertay University, Dundee FC and St Paul's Cathedral. The nearest airport is Edinburgh Airport, 87 km from the property. Set 3.8 km from Discovery Point in Dundee, Mycosy Lorimer 17 offers accommodation with a kitchen. Free WiFi is available in the apartment, located 3.5 km from University of Dundee. The apartment features a flat-screen TV. Dundee FC is less than 1 km from Mycosy Lorimer 17. The nearest airport is Edinburgh Airport, 96 km from the accommodation. Set 2 km from Discovery Point in Dundee, Magdalen House offers accommodation with a kitchen. Free WiFi is available in the apartment, situated 500 metres from University of Dundee. The property includes a living room with a flat-screen TV. The apartment also provides guests with a seating area and 1 bathroom. Verdant Works is 1.7 km from Magdalen House, while Bernard King Library is 2.2 km away. The nearest airport is Edinburgh Airport, 88 km from the accommodation. Set in a Victorian town house, the family run Dunlaw House Hotel is only 5 minutes' walk from Dundee's city centre. Offering free Wi-Fi and free parking, guests can enjoy this conservation area of the city and views of the River Tay. The beautiful East coast of Scotland is 20 minutes' drive away. Aberdeen and Edinburgh are within 67 miles radius. The spacious bedrooms feature tea/coffee making facilities and a TV with DVD player. Some rooms have an en suite bathroom. A delicious Full Scottish breakfast is served daily and includes homemade jams and marmalade. When ordered in advance, guests can also enjoy local delicacies such as fresh Arbroath Smokies and Aberdeen Angus steaks. Situated 1 mile away from Dundee University and College, the Dunlaw House Hotel is also 10 minutes' walk to the extinct volcano of Law Hill.The world-famous golf course of St. Andrews is only 14 miles away. Offering river views, Bridgeview Apartment is an accommodation situated in Dundee, 2.8 km from Discovery Point and 1.1 km from University of Dundee. Guests have access to free WiFi. The 2-bedroom apartment features a living room with a flat-screen TV, a fully equipped kitchen and 1 bathroom. Verdant Works is 1.9 km from the apartment, while Bernard King Library is 2.8 km away. The nearest airport is Edinburgh Airport, 88 km from the property. Located in Dundee, 2.4 km from Discovery Point, Athollbank Guest House provides accommodation with free WiFi. A Full English/Irish breakfast is available every morning at the bed and breakfast. University of Dundee is less than 1 km from Athollbank Guest House. The nearest airport is Edinburgh Airport, 88 km from the property. Rose Manor in Dundee provides accommodation with free WiFi, 1.9 km from Discovery Point. This property is 400 metres from University of Dundee. The apartment consists of 2 bedrooms, a kitchen with dining area, and 1 bathroom with bath. A flat-screen TV is provided. Verdant Works is 1.5 km from the apartment, while Bernard King Library is 2 km from the property. The nearest airport is Edinburgh Airport, 87 km from Rose Manor.